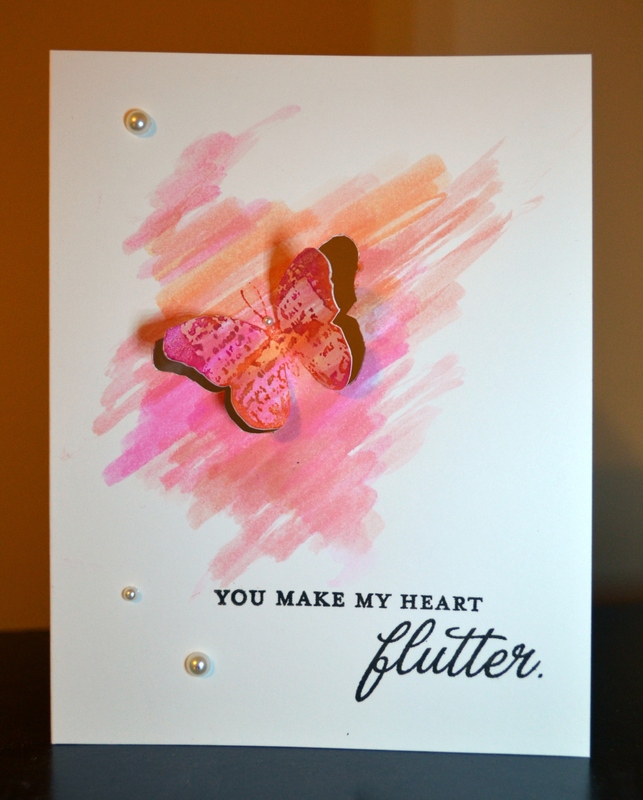 Moxie Fab World – Tuesday Trigger: Watercolor Butterflies. I love the whimsical butterflies on the dress, so I had to have a butterfly in my card. I wanted to create a look as if the butterfliy is flying off the paper. I used Momento markers on an acrylic block and a water brush to create the background. Stamped the butterfly with the same markers. Then cut out the wings with x-acto knife.